Samsung has officially launched the Samsung Jet S8000 popularly known as "Jet2" in India at a whopping price of Rs.19500. The Jet 2 is extremely user-friendly phone as today's youth really look for. The device uses the innovative Samsung TouchWiz 2.0 UI and supports one-finger zoom.It is powered by a 800 Mhz CPU, this enhances any users experience turning it into a superior one. It sports a 3.1 inch WVGA 480×800 AMOLED display. 5MP camera, Wi-Fi, DNSe & SRS Sound Effect technology, and GPS are its other differentiated features. Smartphone brings a one finger zoom feature, support for browsing Web, viewing photos like PDF, TXT, and PPT files and a 3D media gate UI. Keypad gives easy access to six significant multimedia features like Music player, Photo album, Video player, FM Radio, Games, and internet. Samsung’s Dolphin Internet browser enables quick browsing on the device. Superb audio quality is ensured using DNSe & SRS Sound Effects. There is out of the box support DivX and XviD video playback. Google Push Email and media sharing to DLNA certified devices like Televisions is also supported. 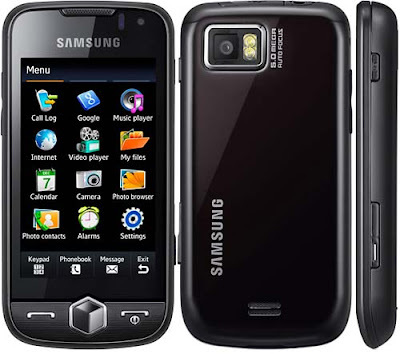 The Jet2 is a kind of replacement for the Samsung Jet S8000, Samsung's previously launched phone as you can see but differs in the software department. Look for it in your nearest Samsung dealer's showroom soon.